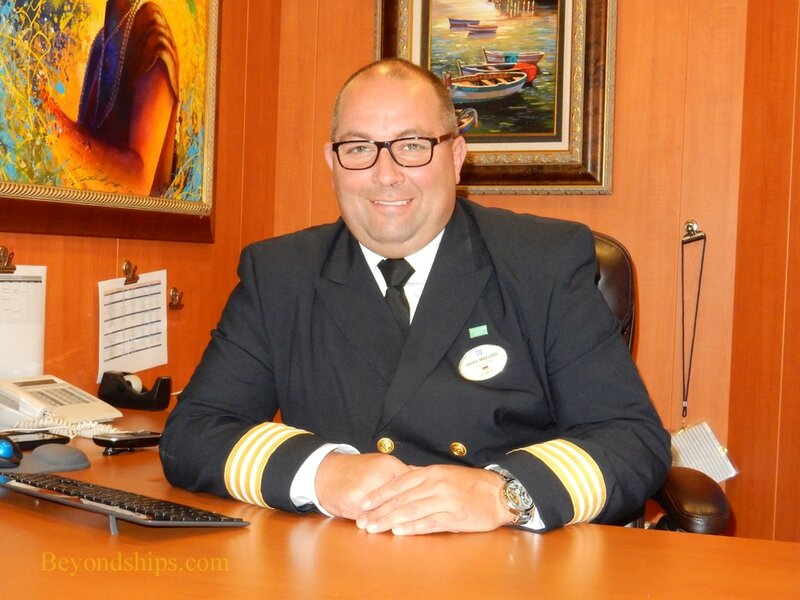 Hotel Director Mark Maeling has worked in the hospitality industry for 26 years, 17 of those years on cruise ships. Three years ago, he brought his talents to Norwegian Cruise Line where he has served on Norwegian Sky, Norwegian Pearl, Norwegian Getaway ,Norwegian Sun and most recently, Norwegian Gem. So what makes the Gem so attractive? “The Norwegian Gem was always a very successful ship. It is a beautiful lady, in good shape.” Indeed, in 2015, Norwegian Gem emerged from a refit with a new, more sophisticated décor in her public areas. “The guests really enjoy the ship's size. We are kind of in the middle.” In other words, not too small, not too large. Second, there is opportunity. “The company is growing very fast, very quickly and we are promoting from within.” Furthermore, there is the opportunity to change jobs. “It does not necessarily mean that if you start as a galley utility, you will work your entire life as a galley utility. We evaluate their background and say yes, this Team member started as a galley utility but he has [potential] and he has the educational background. As such, we motivate our teams, to develop for other positions and support them where we can." As noted earlier, in late 2015 Norwegian performed an extensive revitalization of Gem's public areas giving the ship a new look. Norwegian is now undertaking a corresponding revitalization of the cabins while Gem is in operation.